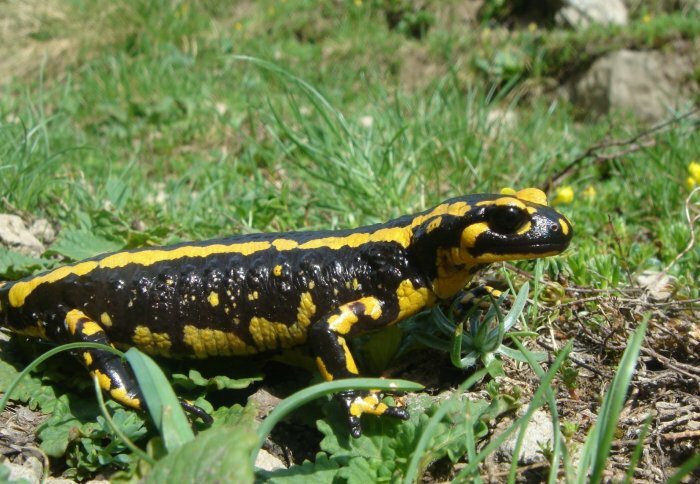 Fire salamander numbers have fallen dramatically in the Netherlands. A skin-eating fungal disease brought to Europe by humans now poses a major threat to native salamanders and newts, scientists have warned. 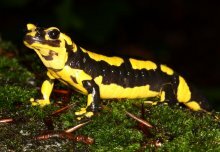 The previously unknown fungus Batrachochytrium salamandrivorans was discovered last year by researchers investigating a huge crash in the population of fire salamanders in the Netherlands. Now the same team have screened over 5,000 amphibians from four continents to ascertain the threat the new disease presents to other species. The results, published today in the journal Science, show that B. salamandrivorans is very dangerous to salamanders and newts, but not to frogs, toads and snake-like amphibians called caecilians. The fungus was found to be present in amphibians from Thailand, Vietnam and Japan as early as 1894, without causing disease, suggesting it originates from Southeast Asia. The fungus probably arrived in Europe recently, and its presence in traded amphibians suggests that the intercontinental movement of amphibians explains its introduction. This study has shown the threat of importing exotic species without appropriate screening for infectious diseases. So far the disease has only been found in the Netherlands and Belgium, but the researchers say it is likely to reach other European countries soon. The great crested newt, a protected species in the UK, is among the species that rapidly die once infected. 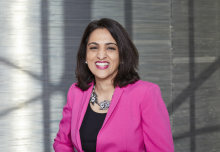 The study was led by Professors An Martel and Frank Pasmans at Ghent University in collaboration with Professor Matthew Fisher at Imperial College London, and others. “When a disease has been around for a long time, animals develop resistance to it. Globalisation has resulted in the movement of humans and animals all across the world, bringing pathogens into contact with hosts that haven’t had the opportunity to establish resistance. As a consequence, pathogens like B. salamandrivorans that are brought to a new environment can very rapidly threaten many species with extinction,” said Professor Martel. Asian salamanders and newts are traded in large numbers across the globe. More than 2.3 million Chinese fire belly newts were imported into the US between 2001 and 2009. The researchers found that the fungus can easily be transmitted between salamanders of different species by direct contact. The study was funded (among others) by the Special Research Fund of Ghent University, the Royal Zoological Society of Antwerp, Dutch Ministry of Economic Affairs and the UK Natural Environment Research Council. Reference: A. Martel et al. ‘Recent introduction of a chytrid fungus endangers Western Palearctic salamanders.’ Science, 31 October 2014. The New York Times: Infection That Devastates Amphibians, Already in Europe, Could Spread to U.S.